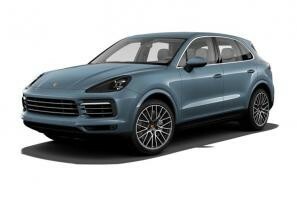 Find the best Porsche Cayenne leasing deals at CarLeasing.co.uk. The Porsche Cayenne is best described as the sports car for 5. This spacious, yet intimate vehicle will have you and your passengers feeling at one with the car. The new and updated centre console allows you to stay updated and entertained while putting your comfort, safety and experience at the forefront of your journey inside the Cayenne. Our latest Porsche Cayenne leasing deals. Click the links below to view our latest Porsche Cayenne leasing options. 3 reasons to lease your next Porsche Cayenne from us. We deliver your brand new Porsche Cayenne vehicle for no additional cost.